Check out the latest mural titled: ‘Far From Tired’. Dutch duet street artists Telmo & Miel created this extraordinarily detailed mural for Pow Wow Longbeach just a few days ago. As a part of the Mural Social Club Festival that is taking place in Ukraine the renowned Greek artist ‘Fikos Antonios’ decorated a 16-floor high building in Kyiv with possibly the world’s biggest Byzantine painting. Said Dokins has shared with us a mural that contributes in honoring women’s social struggle. Said made this wall in the city of Coachella, California, for the “Coachella Walls” Festival, with the support of Med Sobio (33 Third Media) & Date Farmers. The new wall by Dinho Bento illustrates endangered species in South America. The mural is located near the city of Ouro Preto. This region is one of the major mineral exploitation places in Brazil, which contributes to the disappearance of many species. 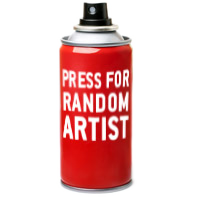 Dont miss the very first awards of the Dutch Street Art awards. Taking place on the 25th March 20.00p.m. , judges are out to pick the very best of works in what might seem just impossible. Among some great artworks, they aim to draw a winner! The Contemporary Art Museum of Rome MACRO houses the first exhibition devoted to the “Forgotten Project”. Forgotten… (THE EXHIBITION) will be on view from April 13th to May 15th inside the 9A wing of MACRO Testaccio.